Actor Tracy Morgan attends the FX Networks Upfront premiere screening of "Fargo" at the SVA Theater in this April 9, 2014 file photo taken in New York. Morgan is in critical condition at a hospital in New Brunswick, NJ Saturday morning June 7, 2014 following a violent multi-vehicle crash on the NJ Turnpike overnight. 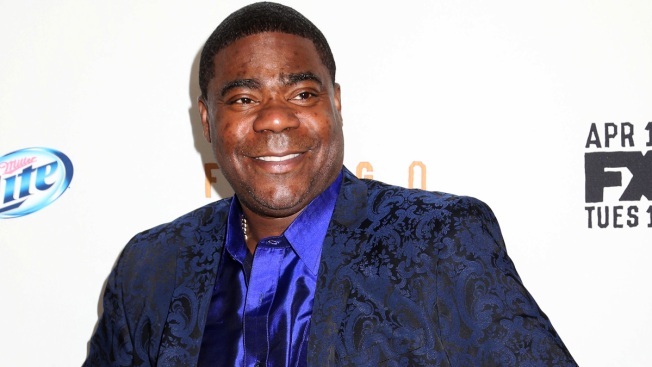 Comedian Tracy Morgan's June 27 show at The House of Blues Dallas has been canceled, as expected. Morgan was critically injured in a car crash on the New Jersey Turnpike June 7 after a tractor-trailer slammed into the back of his limo, causing it to flip and slide into several other vehicles. His friend and mentor, James "Jimmy Mack" McNair, was killed in the crash. On Tuesday, the comedian's condition was upgraded to fair and he is showing "great improvement" after suffering a broken leg, a broken nose and several broken ribs in the crash. "His personality is starting to come back as well," representative Lewis Kay said. Still, Morgan has a long way to go in his recovery and, due to the crash, tour dates for his "Turn it Funny" tour are being canceled. "We wish Tracy and others injured in this accident a speedy and full recovery. We sadly send our condolences to comedian Jimmy Mack’s family and loved ones," said Jenna Rushing, a spokeswoman for the House of Blues in Dallas, in a news release Tuesday. Rushing added that refunds on purchased tickets are available at the place of purchase. No new dates have been scheduled.